SPAM® + Eggs = SPAMbled™ Eggs. 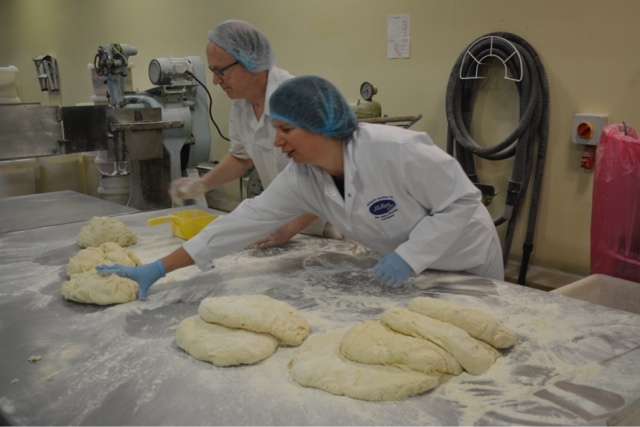 A recipe that does exactly what it says on the tin! 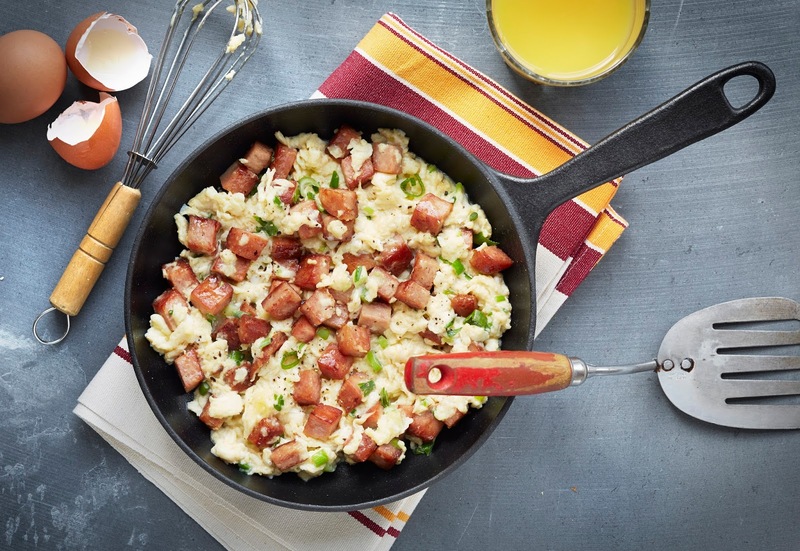 Shake up your scrambled eggs by adding chopped pork and ham. Perfect for breakfast or brunch this quick and easy SPAM® recipe would also be ideal for camping as tinned SPAM® requires no refridgeration. We're now at at that strange time in between Christmas and New Year. I believe the official name that has been coined is "twixtmas". We've all eaten and drank ourselves silly and after days of slaving over a hot stove just want to get back to some kind of food normality. The recipes I'm sharing today are super quick and easy to make and use an iconic ingredient that over the years has been maligned, celebrated and musicalised. We're talking SPAM - chopped pork and ham. 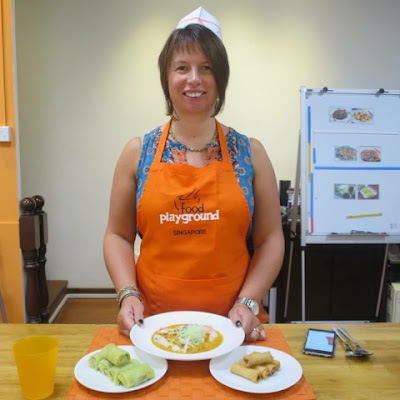 It was one of my absolute favourite school dinners back in the day in the form of Spam Fritters and the two recipes below give a new twist on a traditional family favourite. 1. Beat the eggs, milk and salt and pepper together in a mixing bowl. 2. Fry cubes of SPAM® Chopped Pork and Ham, turning until golden in a dry frying pan. Keep warm. 3. Melt butter in a frying pan on a medium hot heat, sauté the spring onions lightly then add the egg mixture. 4. Scramble with a wooden spatula until still soft and glossy. 5. Add SPAM® Chopped Pork and Ham and mix. 6. Serve with extra black pepper. 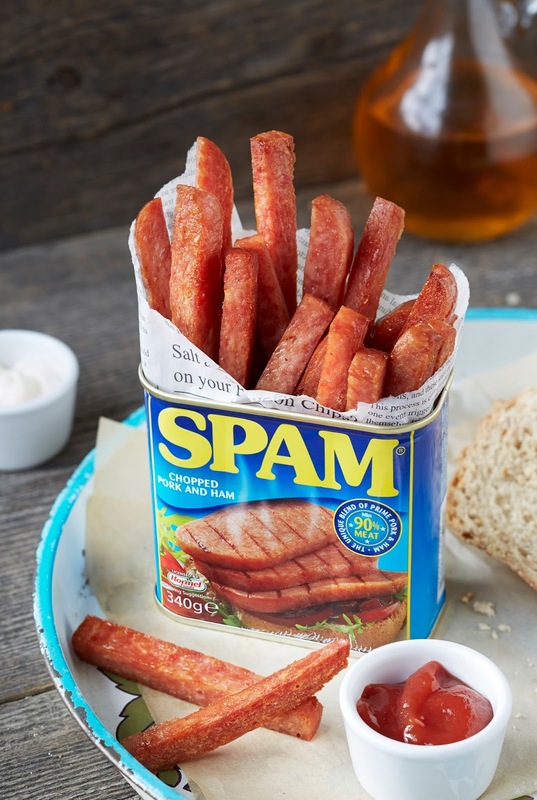 Disclosure: This is a commissioned post for SPAM® Chopped Pork and Ham. As always, all views expressed are my own. 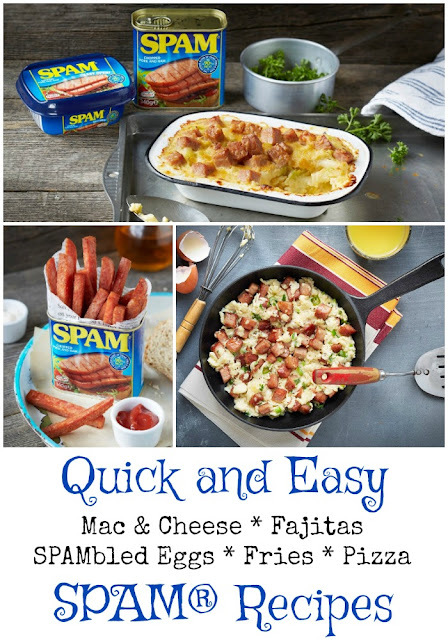 Images and recipes courtesy of SPAM®. 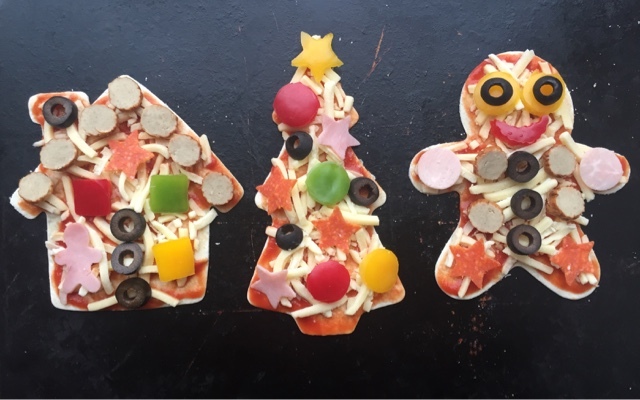 Keep the kids (both big and little) amused making these oh so cute Festive Tortilla Pizzas. 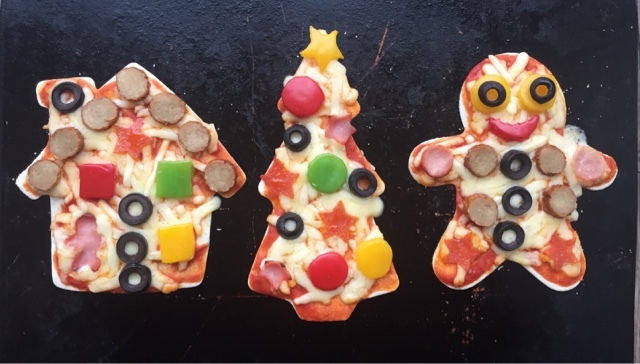 Using wraps makes these fun savoury Christmas snacks super quick to prepare and cook. My final post before the big Ho Ho Ho. I can't believe Christmas is almost upon us. 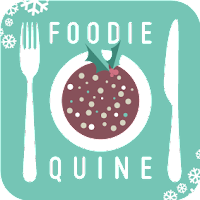 My two don't finish School until Tuesday night but for those who have already finished up, today's festive food idea would make the perfect lunch in the countdown until Santa arrives. 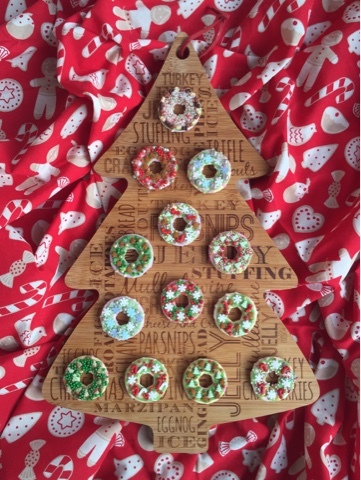 Like yesterdays Party Ring Christmas Wreath Biscuits I actually feel a wee bit of a fraud sharing a recipe/instructions as once you've seen a photo of them you know exactly what to do. 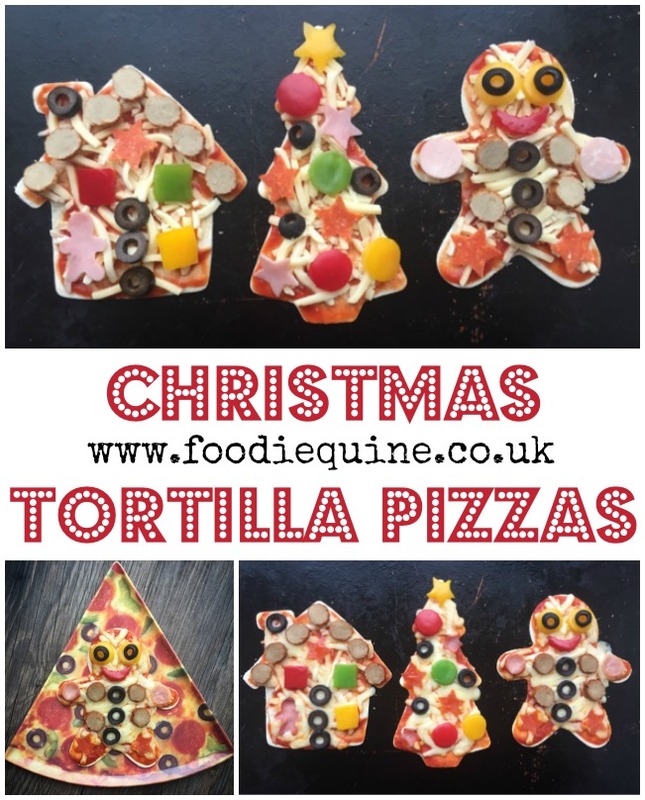 Cut out Christmassy shapes from tortilla wraps using large cookie cutters or go freestyle with scissors. Place on a baking sheet and spread on Tomato Passata then sprinkle with Mozzarella Cheese. 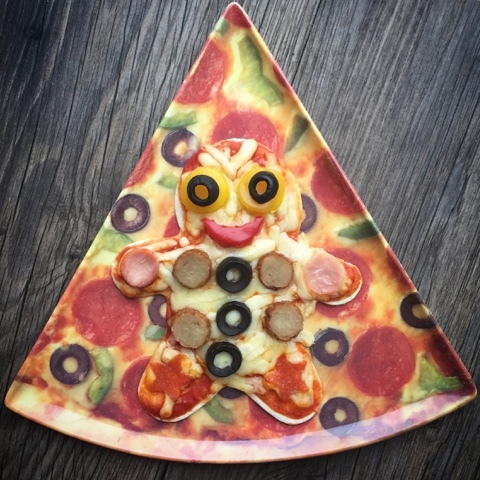 Finish with a selection of your favourite pizza toppings which can also be cut into festive shapes. Christmas Wreath cookies for Santa. 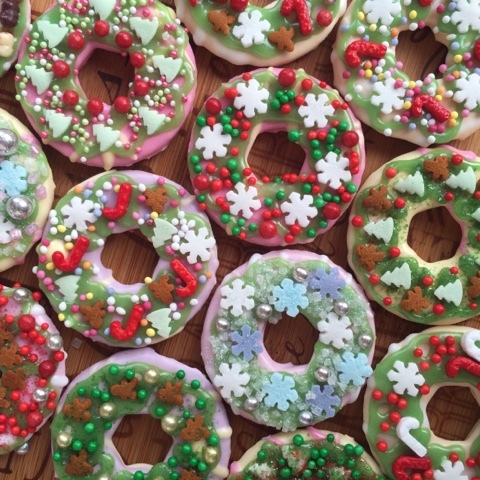 Turn kids favourite Party Ring biscuits into edible festive wreaths with the adition of icing and sprinkles. A great fun no bake treat - great for kids to help make. 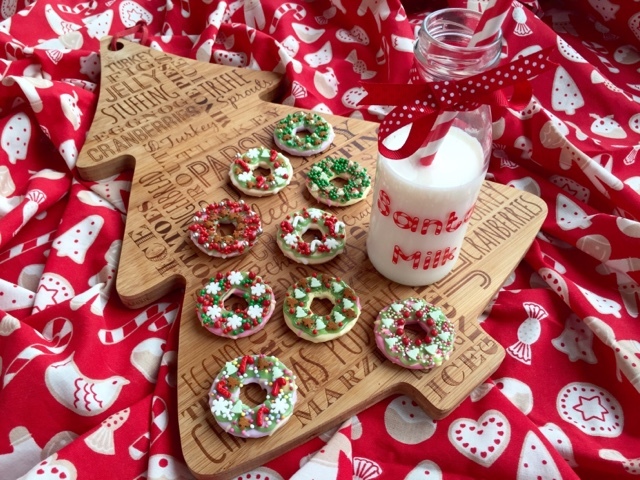 Use a pack of kids Party Ring biscuits as a base for your festive wreaths. Squeeze on some green writing icing and decorate with an assortment of Christmas Sprinkles, Hundreds and Thousands and Edible Glitter. I made mine without the assistance of kids so was able to be very exacting (yup, OCD tendancies!) with my decoration however a more random approach would work just as well. They'd be great fun to make for Santa on Christmas Eve. Just don't forget a carrot for the reindeer and a dram for the big man. 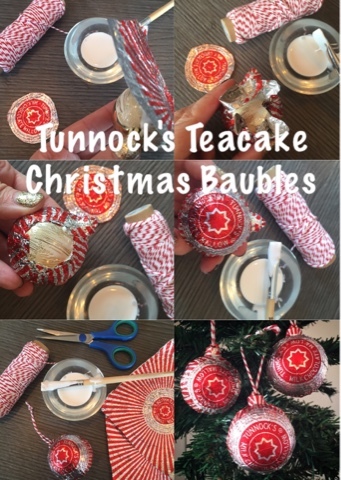 Every time I post something about Tunnock's Teacakes there is an outpouring of love for them. When I made a huge batch of Christmas Puddings with them for the School Fair I carefully removed their foil wrappers as I had plans for them. I've got a wee bit of a collection of foodie themed Christmas tree ornaments and I'd tweeted about looking for some new additions and was told of Tunock's Teacakes Baubles being sold at craft fairs by Bumble Buttonz. I got in touch with them but unfortunately they are based in Glasgow and don't do mail order. Only one thing for it. Make some myself! Carefully remove the foil wrappers from your Teacakes and flatten them out. 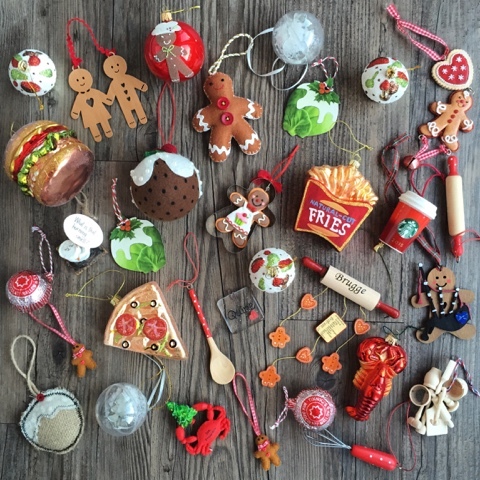 For each bauble you will need one whole wrapper and the circular section cut out from a second wrapper. Brush PVA glue over the front half of the bauble and the hanging cap. Stick on the whole wrapper and ease it over the bauble and the cap. 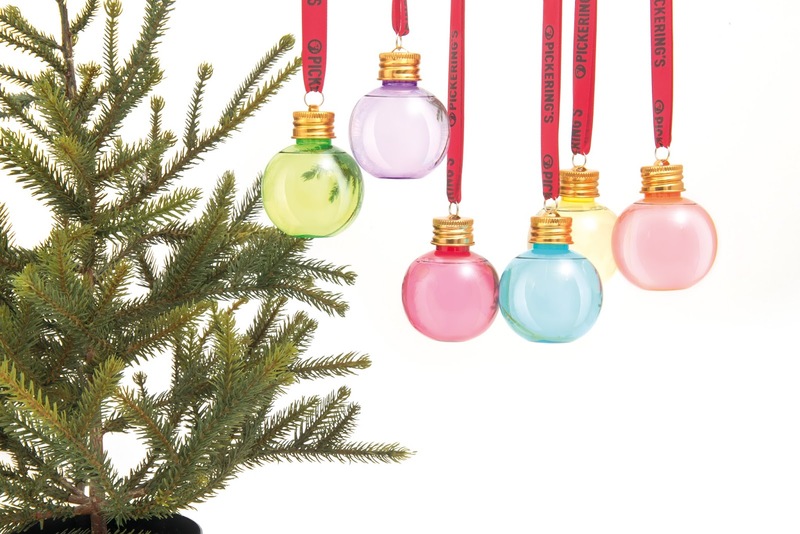 Brush glue onto the back of the bauble and continue to flatten down the foil. Brush glue on the back of the second circular section of foil and stick it down. Smooth down any lumps and bumps. Use a skewer to poke a hole through the foil in the hanging loop and tie on a loop of red and white string. 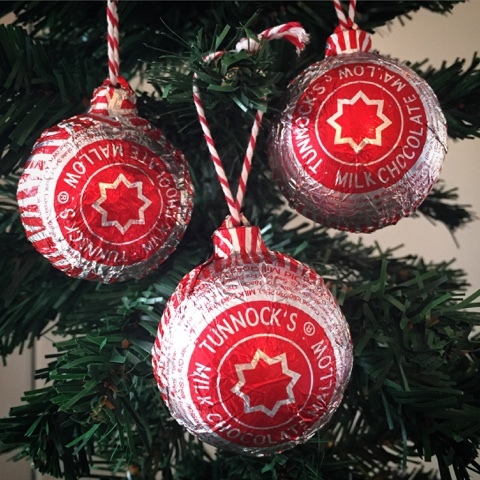 My Tunnock's baubles have now joined all my other foodie decorations on my Kitchen Christmas tree. 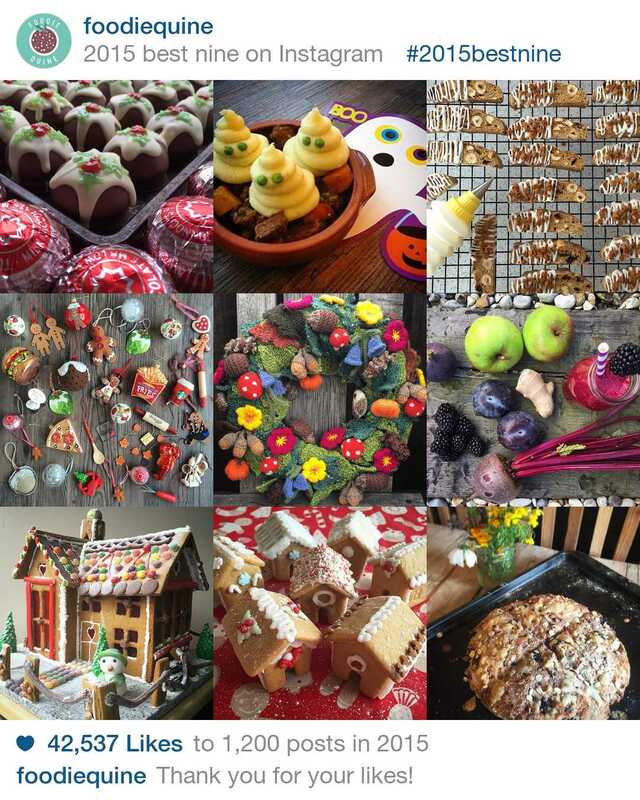 Do let me know if you have a go at making them and how they turn out. I was pretty ham-fisted with the first one I made but it gets easier! Don't worry about getting them all smoothed out and no lumps and bumps. If you look at the foil on an actual teacake you'll see plenty of creases and that's exactly the look you are aiming for! 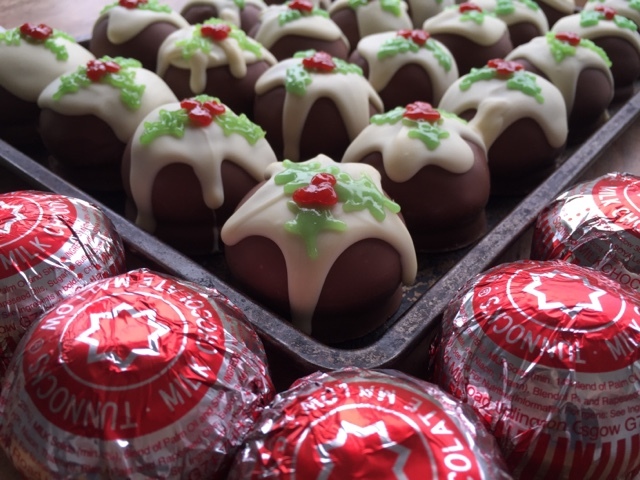 If Pinterest is your thing the photo to pin and share the Teacake love is the one below. Happy Crafting! 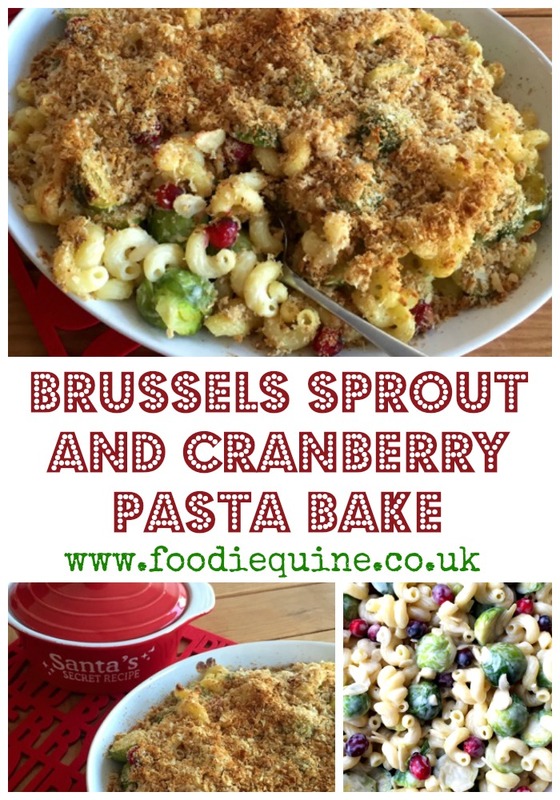 The quintessential flavours of Christmas combine in this hearty recipe for Vegetarian Brussels Sprout and Cranberry Pasta Bake. 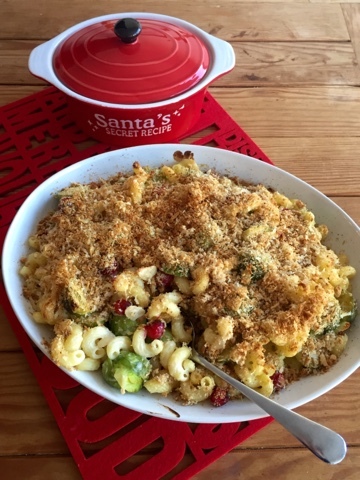 Comfort food at its best with a festive twist. 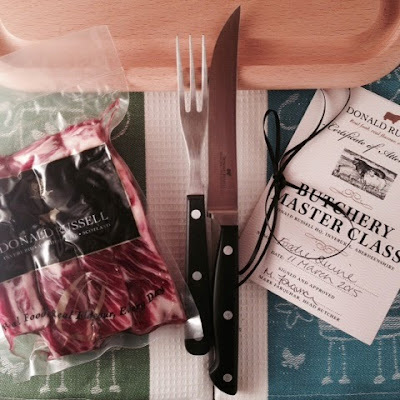 I can't quite believe that I'm posting a a Brussels Sprouts recipe. I doubt I've ever eaten them at any time other than as part of a Christmas dinner. Even then its only because I feel obliged to do so. They are the Marmite of the vegetable world and seem to have more haters than lovers. There are jokes a plenty about mother in laws putting them on to boil in August so that they are ready for 25th December. However over the past few Christmases I have found a most palatable way of eating them. Sophie Grigsons Brussels sprouts gratin with bacon, cream and almonds. This year will be its forth appearance on my Christmas table. Its so good that last Christmas I pondered that it could perhaps be turned into a pasta dish so when the little green cabbages started making an appearance in the shops I bit the bullet. I've lightened the recipe up a bit by replacing the double cream with single and losing the butter. I've also made it vegetarian by removing the bacon lardons and adding fresh cranberries in its place for a further seasonal twist. 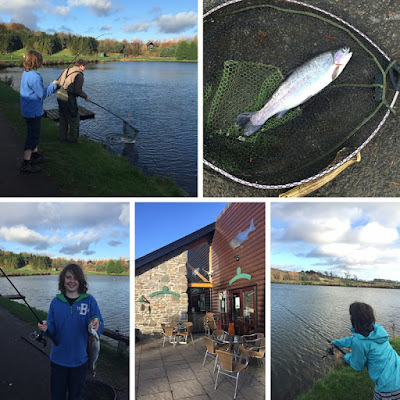 Give it a go, you might be converted! Cook the pasta according to the instructions on the packet. Drain and return to the pan. Meanwhile place the sprouts in a pan of salted water and cook for 4-5 minutes, until almost, but not quite, cooked. Drain thoroughly, allow to cool slightly, then cut in half. 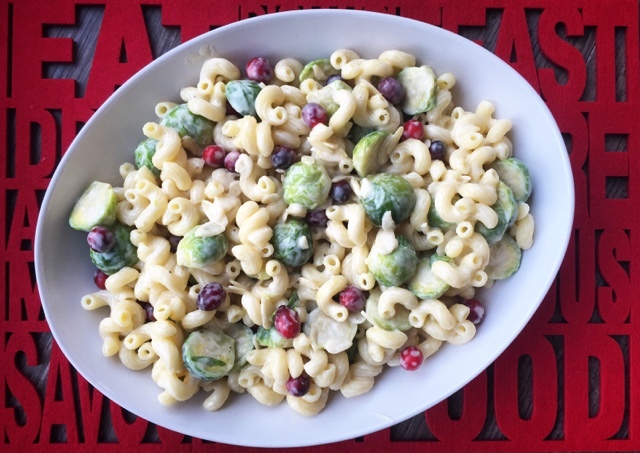 To the pan of cooked pasta add the halved sprouts, 25g of the grated Parmesan, cranberries, almonds, single cream and lemon juice. 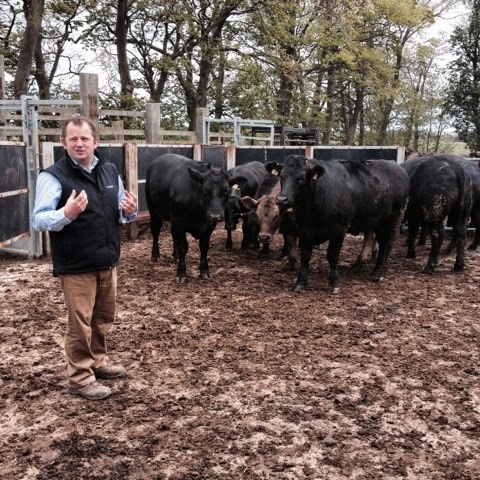 Warm through and season to taste with salt and black pepper. 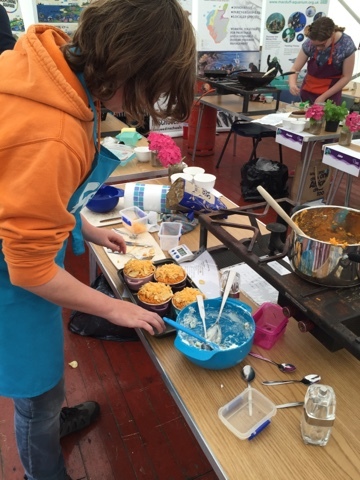 Remove from the heat and spoon into an ovenproof gratin dish. 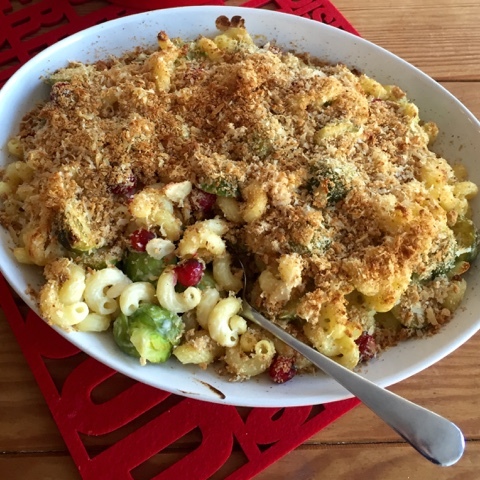 Mix the breadcrumbs and remaining Parmesan cheese together in a bowl, then sprinkle evenly over the top of the sprout and pasta mixture. Place into the oven and bake for 20 minutes, until the top is golden and the cream bubbling. I asked around my food blogging friends for their sprout recipes and got plenty of inspirational ideas. Finally, if you're still not converted Butcher, Baker, Baby Blog shows us how to make a Brussels Sprout Wreath. 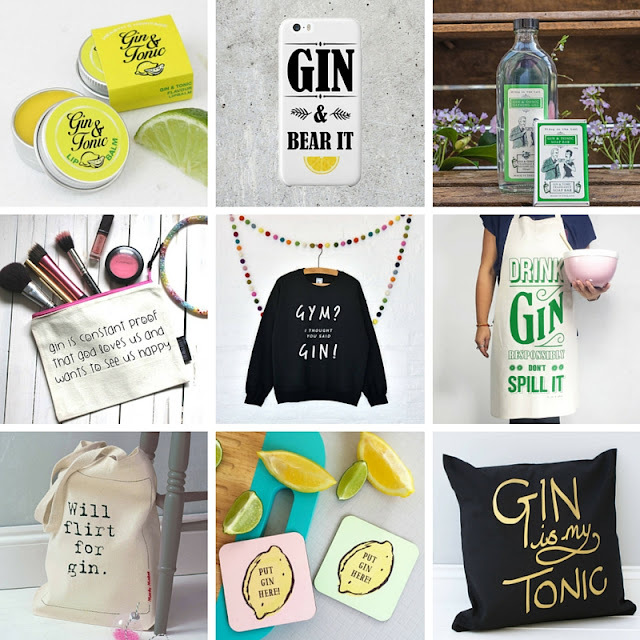 It's no secret that I'm a big fan of Gin so for the last of my Christmas Gift Guides it's only proper that I offer some Festive Ginspiration. Gin has really taken off in recent years so there is plenty of choice out there for the discerning Juniper connoisseur. 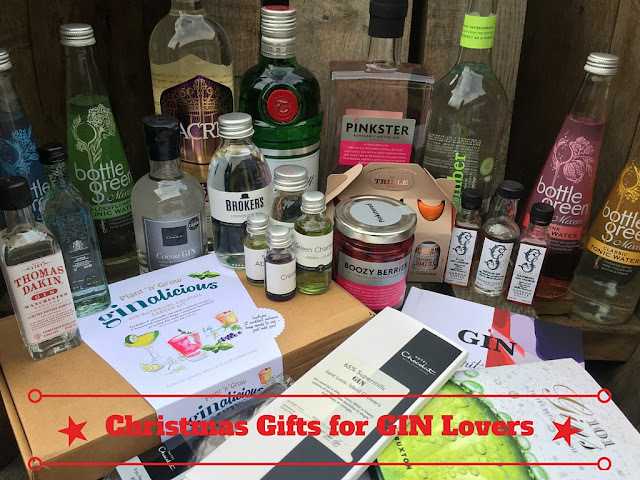 Included in my roundup are a selection of gins, mixers, festive offerings and quirky gin related gifts. I recently read that the perfect Christmas stocking comprises of something you want, something you need, something to wear and something to read. I reckon I've managed to cover pretty much all of those bases and provide inspiration if you are shopping for the Gin lover in your life. If the Gin lover is you, do feel free to forward a link to the significant other in your life. I find a direct approach works much better than subtle hints. 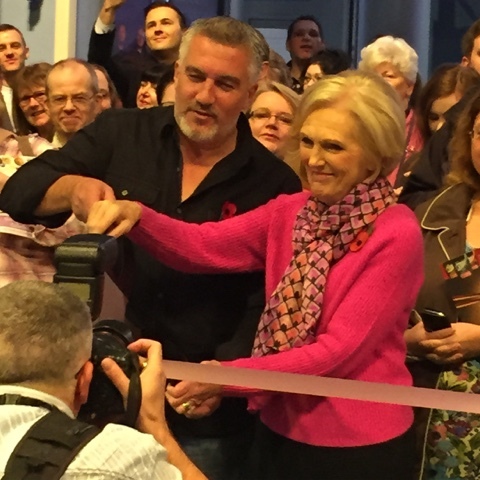 I made a beeline for the Gin Garden when I spotted it at the BBC Good Food Show. 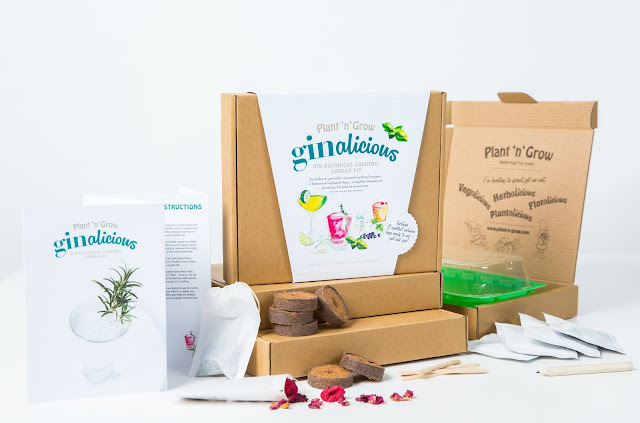 It's the perfect gift for a green fingered gin connoisseur. 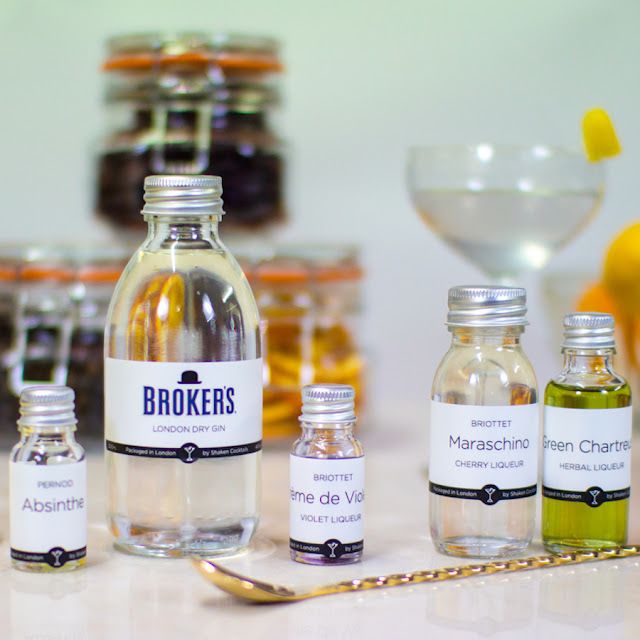 A couple of hand blended cocktail infusions so you can get sipping straight away plus all you need to sow and grow your very own Gin Garden comprising of Basil, Cucumber, Rosemary and Thyme. 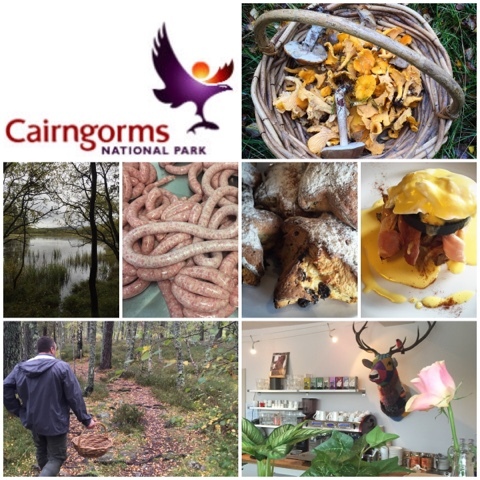 Plus a fab wee cocktail and recipe book to top it off. 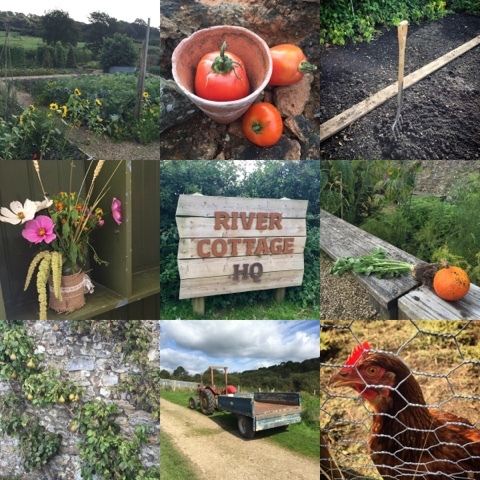 Your G&T definitely counts as one of your five a day when you've grown some of it yourself! 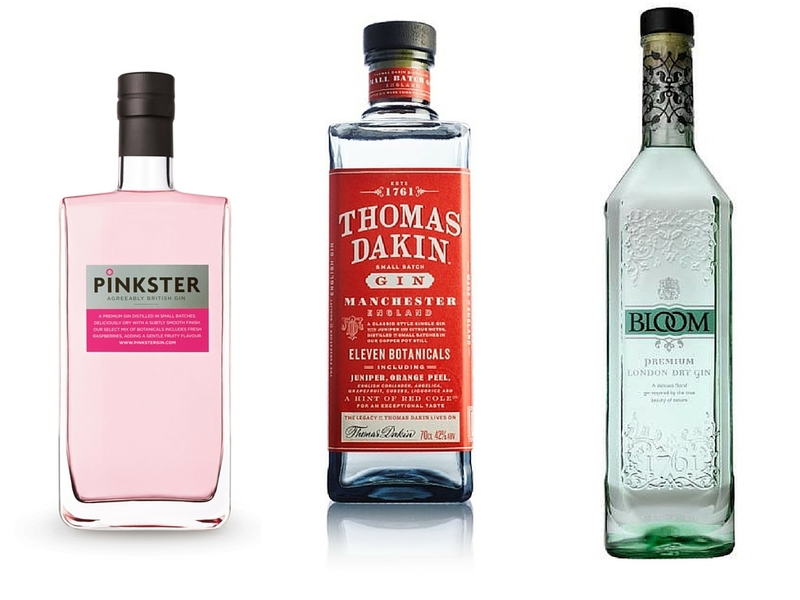 When Pinkster make Gin they infuse it with fresh British Raspberries. Boozy Berries are a natural by product of this process. Wonderfully inebriated, I can confirm that they are particularly amazing when popped in a glass of Prosecco. Or how about in a boozy trifle, dipped in chocolate, turned into sorbet, served in a pavlova. The possibilities are endless. What better than Gin? Chocolate and Gin! The folks at Hotel Chocolate know their Cocoa and have combined it skillfully with Gin in a range of products. Boozy Truffles, sophisticated chocolate bars and and award winning Cocoa Gin. Made by expert artisan English distillers working in small batches using the copper-pot stills the gin combines the flavours of Saint Lucia – lemon zests, juniper, coriander, mineola and angelica, with peppery notes of roasted cocoa shells and the richness crushed macadamia nuts. Another fantastic Scottish brand that I discovered this year at the BBC Good Food Show. 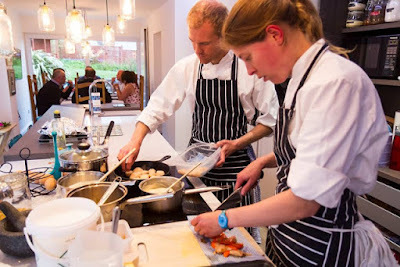 Poporopo make amaizing air popped gourmet popcorn right here in Scotland. 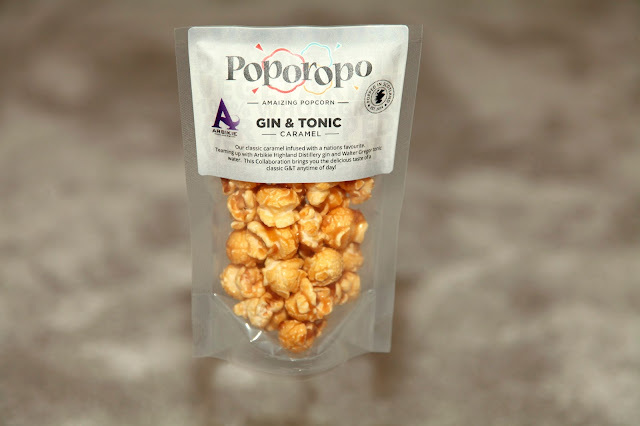 Collaborating with Arbikie Highland Estate they have created a fantastic Gin & Tonic popcorn. It really does taste of Gin but not overpoweringly so. A fab wee stocking filler. Try as I might I haven't been able to track any of these down. The concept intrigues me but I am yet to put them to the taste test. Dear Santa, I need a packet of these in MY stocking! What could be better than scrambled eggs and smoked salmon for breakfast on Christmas morning? Why scrambled egg and Gin & Tonic Scottish Smoked Salmon of course! 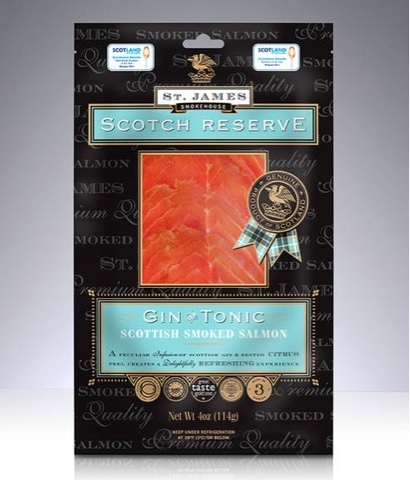 I have to be honest and say that if I didn't know it was G&T I don't think I could have identified the flavour, however the award winning salmon itself is amazing and has a fantastic zestiness from the lemon peel. A peculiar infusion, but in a good way and sure the tickle the tastebuds of gin fans. Now this is something very special. Sacred Christmas Pudding Gin is made, not by simply distilling Christmassy botanicals, but by distilling actual whole Christmas puddings. Made according to Gin Master Ian's Great Aunt Nellie’s recipe, there's even a copy of it on the back of the label. 30lbs of Christmas puddings were steamed for 8 hours and then macerated with English grain spirit for 2 months and redistilled. A real labour of love! There's also a wee bit of frankincense in it for even more Christmas spirit. 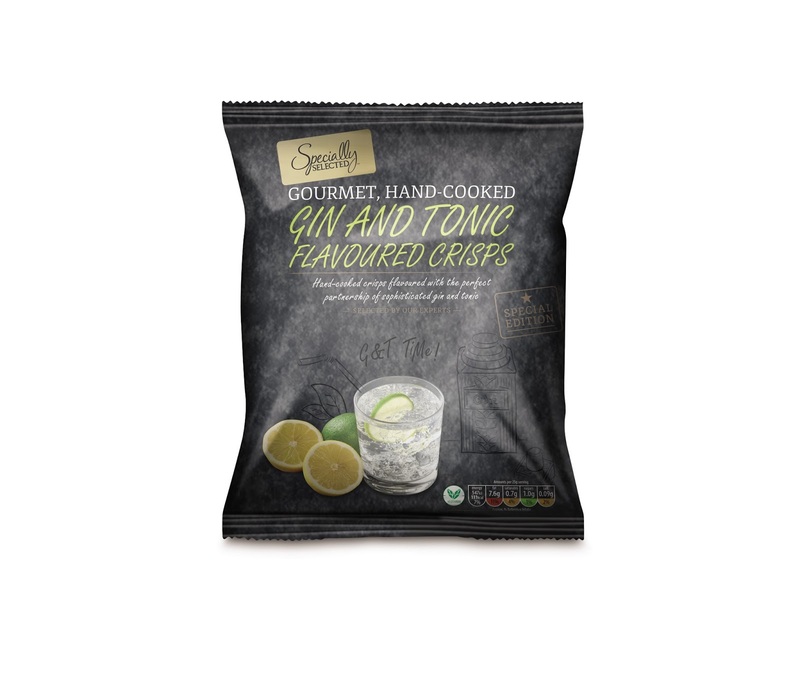 It makes a great festive G&T or serve as a shot straight out of the freezer. A refreshing alternative to Figgy Pudding and the most gorgeous bottle. This is top of my festive tipples. A picture paints a thousand words. Gin baubles for your Christmas tree. You KNOW you want them. Forget about drummers drumming, maids a milking and swans a swimming. 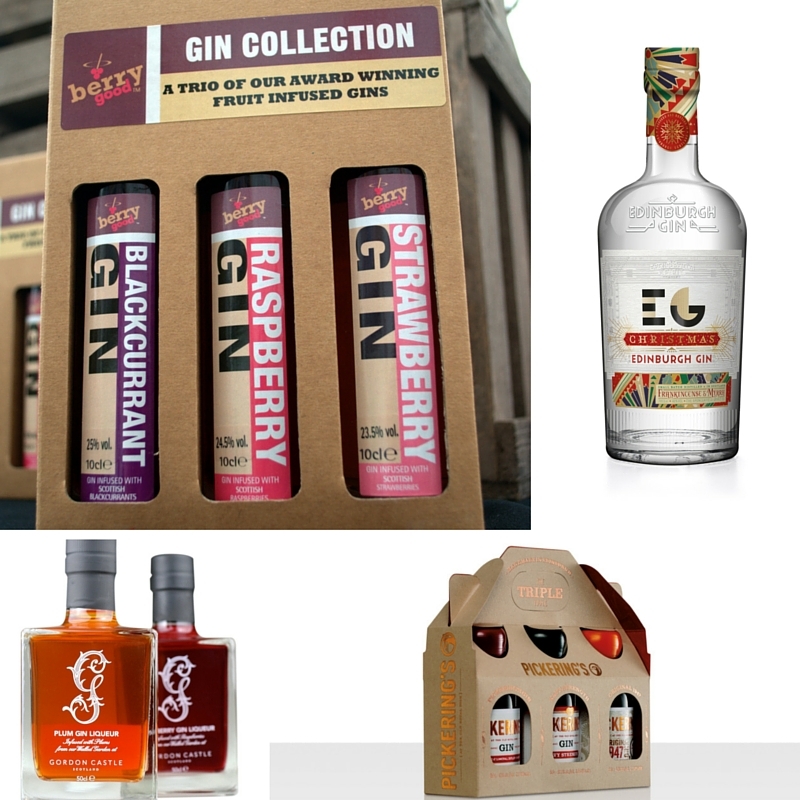 All that I want my true love to bring to me are the 12 Gins of Christmas. No partridges or pear trees required. When you've splashed out on a good Gin you really should also splash out on a good Tonic. 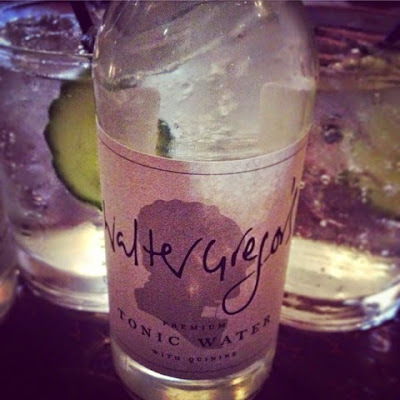 Walter Gregor is a relatively new kid on the block. 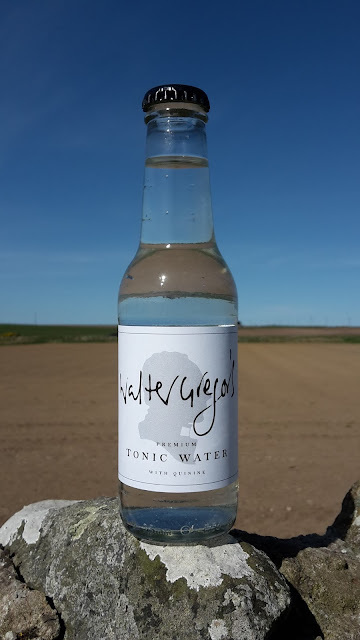 He's the first and only Scottish Tonic Water and pairs perfectly with the abundance of Artisan Scottish Gins, particularly those of a coastal or floral nature. A number of years ago I discovered an amazing cucumber mixer for my gin whilst on holiday in Spain. Alas at that point there was nothing similar available in the UK but that's all changed now thanks to Qcumber. 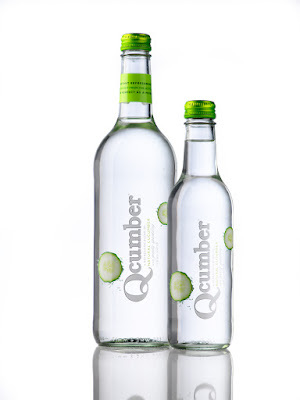 This is a fantastically refreshing blend of natural cucumber and spring water. G&Q is the perfect alternative to G&T. 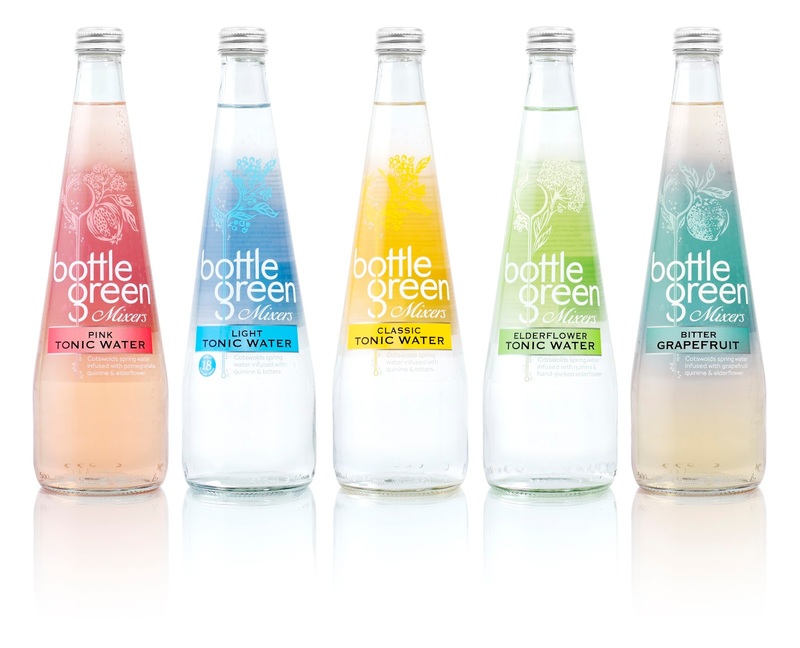 On the trail of interesting mixers I was delighted to discover a brand new range from Bottle Green. Perfect in cocktails, as mixers and dare I say it even sans Gin. Bitter Grapefruit is my absolute favourite. Everyone needs a book at Christmas. Both of these offerings beat the traditional Beano or Dandy Annual hands down. 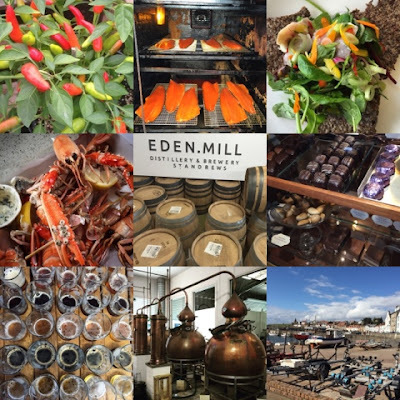 Educational, informative, a wee bit of history and plenty of Mother's Ruin. Just the tonic for a gin lovers bookshelf. Do you like your Gin shaken not stirred? Shaken Cocktails will take you on a voyage of discovery kicking off with all the boozy ingredients you need for five drinks: four cocktails and an extra measure of gin left over as a nightcap. If that's not enough opt for the 3 month version. Premium ingredients, classic cocktails and modern variations plus tips and tricks of the trade so you can shake up bar quality beverages at home. 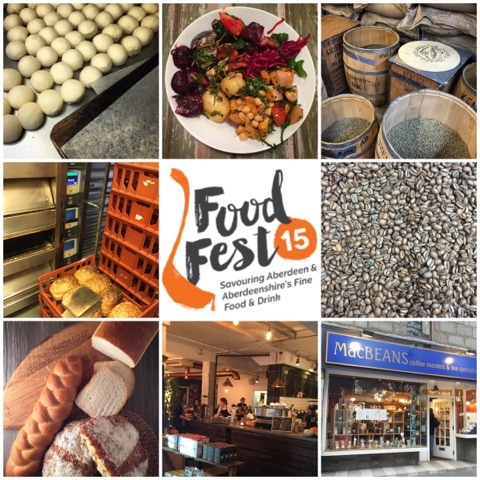 Craft Beer, Cider, GIN, Cocktails, Street Food and Music. 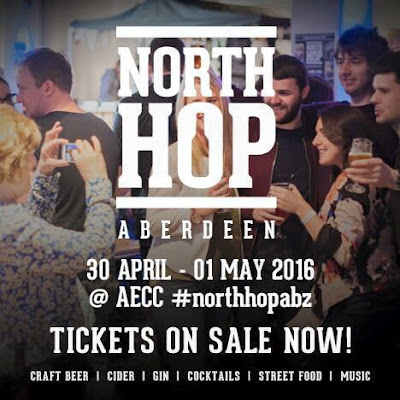 North Hop will be in Aberdeen, Glasgow, Inverness and Edinburgh in 2016. Tickets are the gift that keeps on giving. Excitement on the day and something to look forward to at a later date. Everything above is from the fantastic NOTHS. 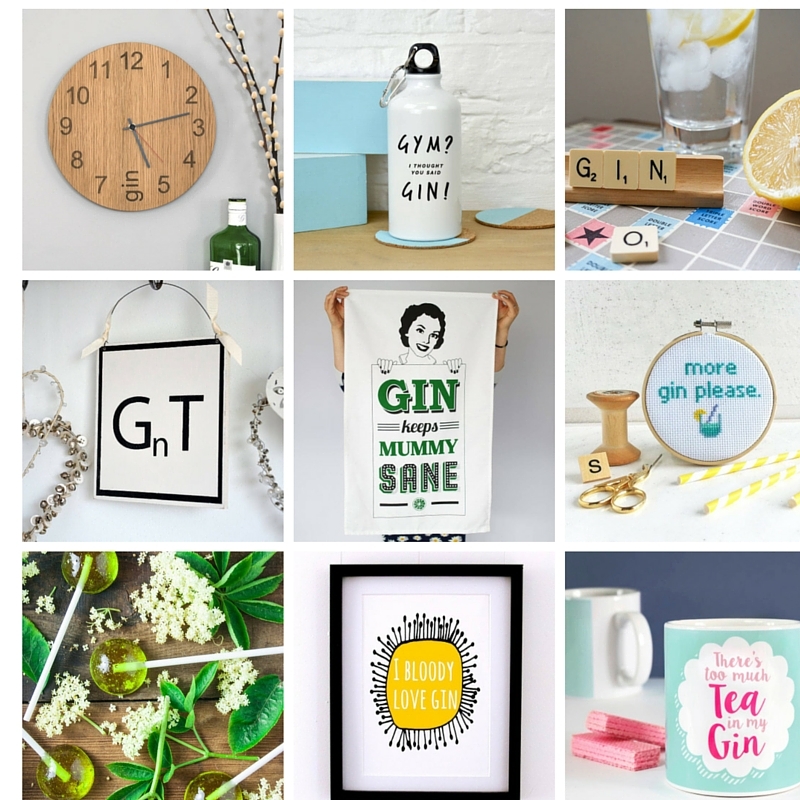 Just type in GIN in the search box and you will be spoilt for choice. Tanqueray London Dry Gin comes in a striking and iconic green bottle inspired by the traditional three-piece cocktail shaker. What's better than mulled wine? Mulled Gin of course. 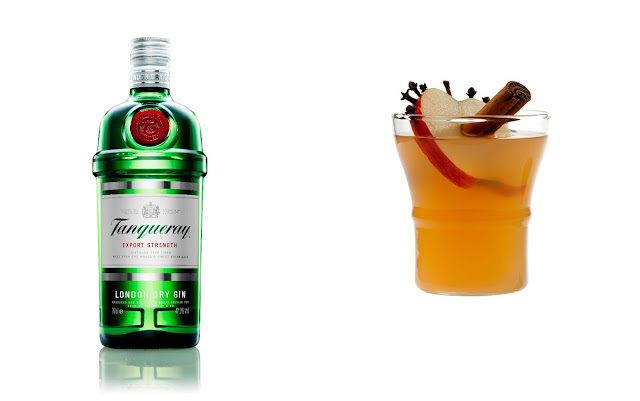 This fab recipe for Mulled Tanqueray sure packs a punch. 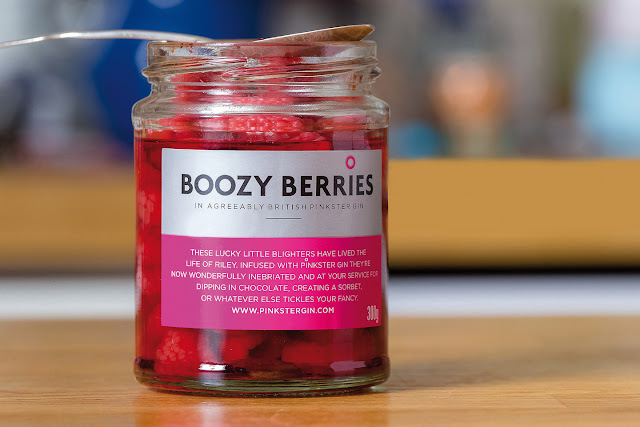 The by product of Boozy Berries. Or perhaps its the other way around?! Deliciously dry, with a hint of fruit, an exceptionally smooth finish and an awesome colour. Colonel Pinkster advises that for the perfect serve you should Spank The Mint. A classic style, juniper led single London Dry Gin. Zesty notes or orange and citris combine with Red Cole, a savoury root botanical. BLOOM is a delicate floral London Dry Gin, inspired by the natural flora of an English country garden. Its perfect serve is with Strawberries. Infused with the traditional festive spices of frankincense, myrrh and nutmeg. The stunning bottle has been crafted with Bruni glass and features an opulent art deco style label. 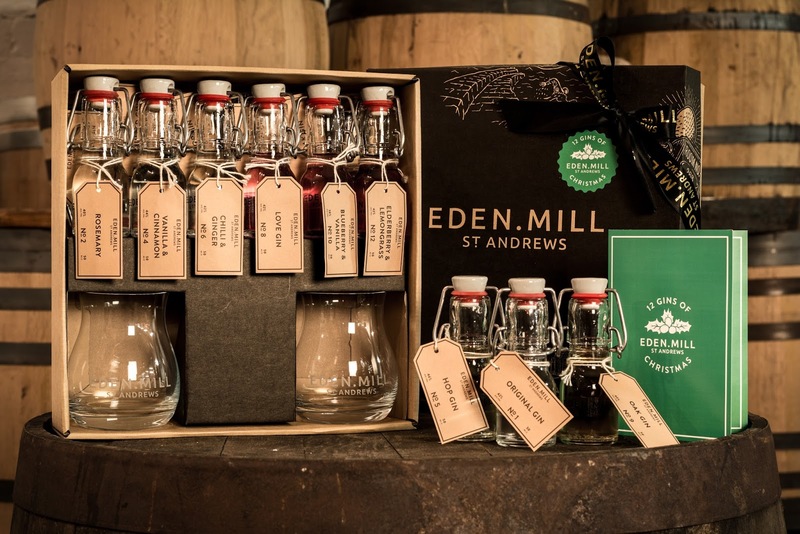 £1 from every bottle sold will be donated to Trussell Trust Food Banks in Scotland. Gordon Castle Scotland Gin married together with fruit form the historic Gordon Castle Walled Garden in Moray. 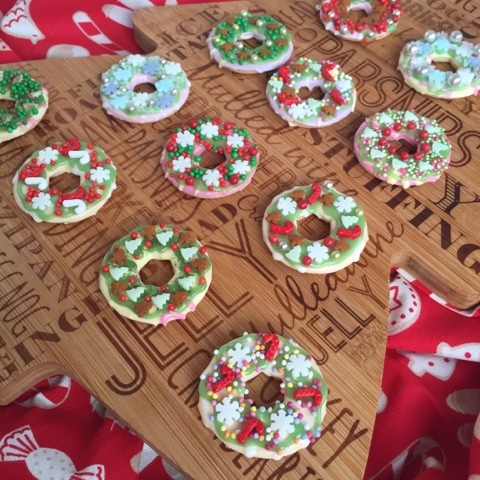 Delicious on their own or with a glass of fizz for a festive tipple. A triple whammy. Pickering’s Gin, Pickering’s Naval Strength - bottled at 57.1% (100 proof) for a pinch more punch and Pickering’s Original 1947 Gin. 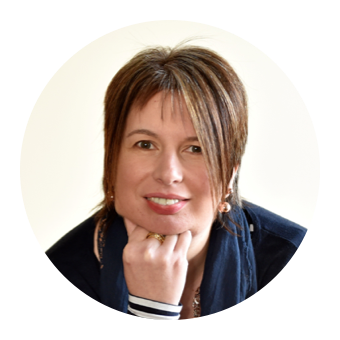 Disclosure : Thanks to all the brands and PR's who provided products for review. All views expressed are my own.